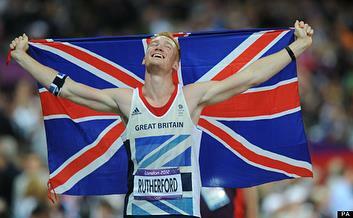 That’s just what Greg Rutherford is planning to do as he retires from his successful long jump career and I’m full of admiration. It’s really putting himself out there and lots of people are bound to have an opinion and many won’t be reticent about sharing them. There is now talk of him becoming a tv pundit and/or, and I think this is the braver option, making the switch to cycling. It would be a big challenge for anyone to switch career after such success but when you attract the headlines as Greg does then all eyes are definitely going to be on him. Thinking about that makes any change that I might make this September feel relatively easy. I’m not in the public eye the same way that he is. Yes you may be watching but I know you are a friendly crowd and I’ve certainly not had any world renowned successes to date so a switch wouldn’t be as drastic or as public. If you applied the same thought process to any changes that you might be considering……..does that make it any easier and less scary? Are you feeling any braver now? Can you find inspiration from Greg to use your skills and ability in a very different way going forward? YES! I’ve found my purpose in life and it’s to help others to change their life. At some level I’d always known that, I just didn’t know how. Guess how I found out? That’s right I went to a Life Coach and found that coaching was the answer to my own life change and that of others. "On more than one occasion Clare has released me from my own cage by pointing out what I am ignoring, especially when I am doing what I think I ought to do and confusing that with what I want to do." "The coaching provided could be emotional at times... I never felt under pressure to perform for Clare knowing that I was ultimately responsible for my actions and goals and targets being set. If I required support between sessions Clare was there with a text or email to steer me back on track or give me a "nudge" in the right direction."